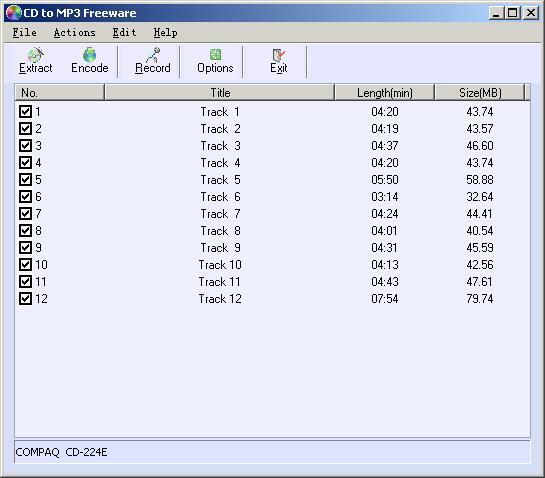 Free CD to MP3 Converter is an easy to use CD ripper that allows you to extract audio files from a CD and convert them to MP3 format. It can automatically retrieve title information from the CDDB database, normalize the output files and supports additional LAME options. You can also use the software to record to MP3 with your microphone, or to convert WAV files to MP3 format.Easy to use interface that allows you to rip tracks of your Audio CD just by several clicks.It also can clear the play list of RealOne Player and Windows Media Player.